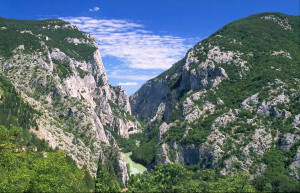 The gorge was formed between the Pietralata (889 m) and Paganuccio mountains (976 m), by the erosive strength of the river Candigliano. During the past decades the cleft became extremely deep, however nowadays it is not possible to observe this depth because of a dike that was build in 1922 and that transformed a wild, impetuous river into a quiet lake. The Frasassi Caves are a remarkable karst cave system in the municipality of Genga, Italy, in the province of Ancona, Marche. 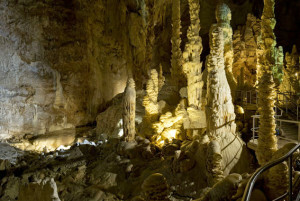 They are among the most famous show caves in Italy. 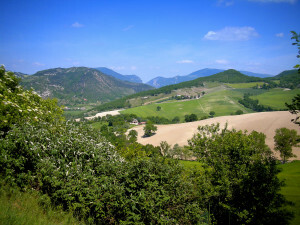 Montefeltro covers mostly the mountain part of the Province of Pesaro and Urbino (Marche) and the south-western area of the Province of Rimini (Emilia-Romagna). It comprises also two municipalities of the Province of Arezzo, Tuscany, and the Republic of San Marino. The most important town of the region is Novafeltria. Today it is part of the Roman Catholic Diocese of San Marino-Montefeltro, formerly until 1978 the Roman Catholic Diocese of Montefeltro. 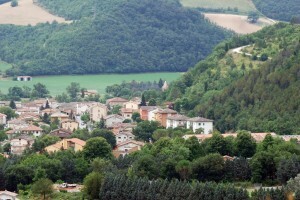 Located in the province of Pesaro-Urbino, Acqualagna is a town with 4 400 inhabitants. 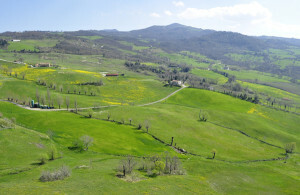 It is one of the main areas in Italy for Truffles. 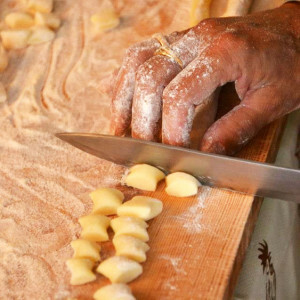 In order to celebrate the tradition of search, production and commercialization of this very precious product of the Italian tradition fairs and events take place in Acqualagna all year long. 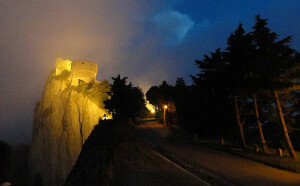 The Fortress of San Leo is a castle located on the border of the Marche and Romagna regions in central Italy. The Fortress also has a museum. This used to be one of the palaces owned by Federico da Montefeltro and his wife Battista Sforza. 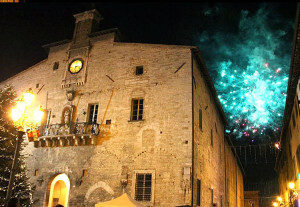 Cagli is a town in the province of Pesaro e Urbino, Marche, central Italy. 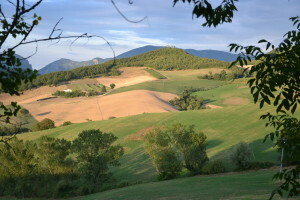 It is located c. 30 kilometres south of Urbino. In the 6th century together with the towns of Gubbio, Urbino, Fossombrone, Osimo and Jesi, Cagli was one of the strongholds of the Byzantine Pentapolis. The city of Cagli is mentioned in both the Itinerarium Gaditanum and in the Antonini Itinerarium, which list all the cities along the main routes of the Roman Empire (Cagli is in fact located on Via Flaminia). During the summer cooking classes are organized for small groups interested in the local traditions. With the help of our chefs, we can teach you how to prepare homemade pasta, such as tagliatelle and gnocchi, as well as bread and pizza. Our surrounding mountains are the ideal place for enthusiastic hikers. The peaks of Monte Catria and Monte Nerone offer breathtaking views that reach the Adriatic Sea. 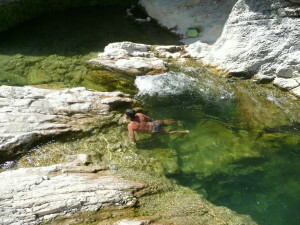 The rivers have maintained most of their original characteristics and crystal clear waters. They are the perfect place to swim, relax and enjoy the sun. An unforgettable experience is guaranteed once this enchanting location is discovered.